There are many parables speaking high of intelligence and perseverance of monkeys. There are also some on their behavioural aspects. One theory goes that a group of monkeys were kept in a cage and up over there bunch of bananas were hung ~ when they climbed a pole for reaching their favourite food – either an electric shock or cool water gushing was given – the monkeys attempted initially a few times – everytime they got the punishment… after sometime, one of the monkeys was taken out and in its place, a new one introduced – when the new one tried to reach out for the food, the experienced ones dragged it and prevented it. slowly the monkeys were replaced one after the other ~ and at one stage, all were new ones – none had any experience of pain in reaching out for the bananas. Yet they got attuned that reaching out for bananas is not good for them. Today, there is an interesting news in The Hindu and Times of India of a marmoset and a macaw rescued from a pet shop in Chennai. In every locality, you could find some shops selling pets – mostly ornamental fish, love birds, dogs, ducks and the like…. This shop at Arumbakkam had more …. and hence in news.. The reports mention of animal activists rescuing a marmoset, a rare furry monkey the size of a fist, and a macaw from a pet store in Arumbakkam on Monday. It is stated that staff of Society for the Prevention of Cruelty to Animals (SPCA) raided the pet store on Monday after receiving a written complaint from a member of the Worldwide Veterinary Service (WVS) who had visited the shop. WVS logistics manager had found the monkey locked in a cage – with both its legs injured – the shopkeeper had quoted a price of Rs.1 lakh. Marmosets are tree dwelling primates found in South America. Because it is illegal to sell them in the country, smugglers often bring them to India via China, experts say. The smugglers sell them to pet dealers who make huge profits from the sale of each animal. 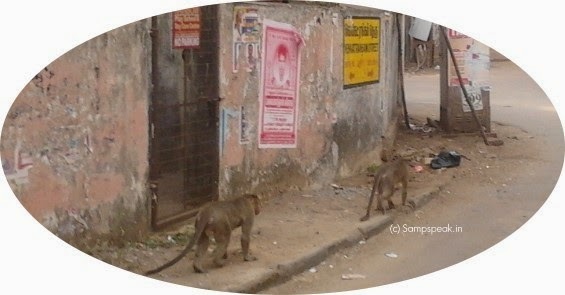 Based upon the complaint of the person, SPCA raided the store and rescued the monkey. They also rescued a rare species of macaw. SPCA officials said a chargesheet would be filed against the pet store owner – the monkey and macaw will have to be produced before the Court. 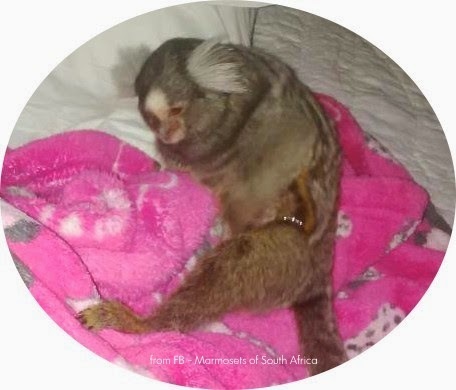 It is stated that the owner at the time of questioning, denied being aware of marmoset being an exotic specie and claimed to have bought it from an agent. He further claimed that he was not selling them but had just kept them on display !! About a couple of years there was the news of a marmoset monkey found inside the cap of an air passenger. The news suggested that the monkey escapade began in Lima, Peru, when the man boarded a flight to Fort Lauderdale, Fla… during the flight, people around the man noticed the marmoset emerging from underneath his hat. The marmosets belong to biological family Callitrichidae. Most marmosets are about 20 centimetres (8 in) long. Marmosets are native to South America and have been found in Bolivia, Brazil, Colombia, Ecuador, Paraguay and Peru. It is stated that they need expert care and not apt to be kept as pets. They require a complex environment and thick vegetation and could be susceptible to diseases when exposed outside. They are not domesticated and should not be kept as pets………… however there are fancy people who try to exhibit their wealth by having exotic pets ….and they landing up in Chennai, thousands of miles away from their habitat is curious indeed.